Warrington Certification has launched new Certifire schemes for pivots and door handles on fire doorsets. The UKAS accredited Technical Schedules (TS’s), which have been developed in response to industry demand, include four new TS’s covering top and bottom pivots, electromechanical locks, handles and variable geometry hinges. 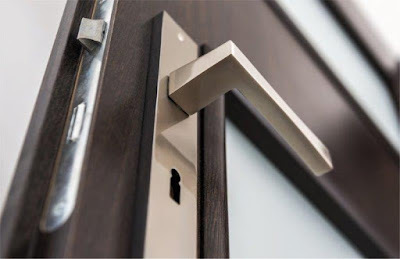 For some years, the UK door and hardware industry has raised concerns over the lack of a minimum prescribed level, with respect to performance and quality for lever handles and top and bottom pivots and in the absence of harmonised standards, have sought alternative ways to raise the quality for these elements. In response, Warrington Certification has introduced TS’s for top and bottom pivots (TS80) and lever handles (TS82). The four new Technical Schedules TS80, TS81, TS82 and TS83 will ensure a minimum level of performance for all new products which are used on fire and smoke resisting doors. Electromechancial locks (TS81) and variable geometry unsprung and concealed hinges (TS83) follow in the same footsteps as other Certifire technical schedules such as mechanical locks (TS23) and single axis hinges (TS24). “We are proud to launch these new UKAS accredited Certifire schemes, which are designed to further help raise the bar in fire door and product certification.